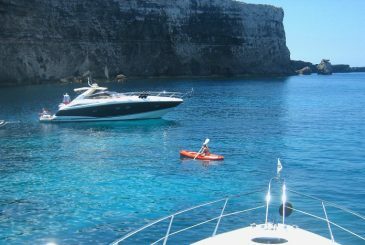 When one thinks of Malta, the idea of endless outdoor fun on 300 sea-and-sun-filled days immediately springs to mind. But what is Malta really like on those 65/66 days that make up the rest of the year? If you’re heading over on a midwinter break to Malta, this is the season to experience Mediterranean island life from a different perspective. Whether you fancy yourself as a bit of a culture vulture, or prefer countryside rambles and picture-perfect panoramas, winter in Malta is an ideal time to explore all those treasures we tend to overlook when long, lazy beach days take over. 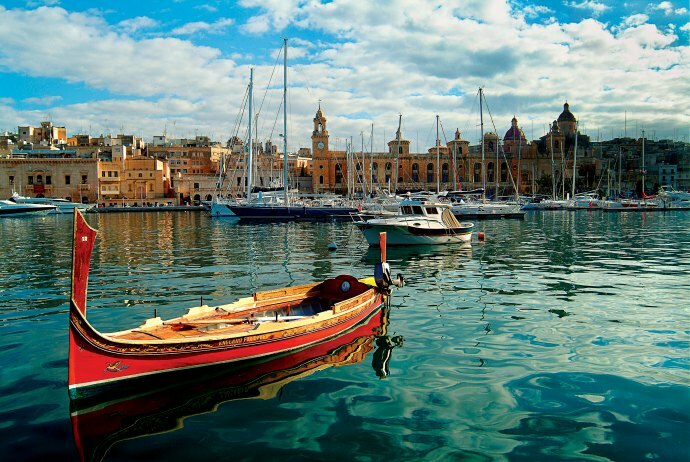 There are so many Maltese hot spots to discover during the milder winter months. Dramatic coastline, lush landscapes, enchanting architectural and historic sites are all a short drive or bus ride away. Simply wander round the island to get a taste of these idyllic whereabouts at your own leisurely pace. If you’re after a serious culture fix, then there couldn’t be a more ideal year to visit Malta’s capital city of Valletta than the current one. This UNESCO World Heritage City has just been inaugurated as European Capital of Culture 2018, and will host over 400 spectacular events as part of an eclectic cultural programme that will run throughout the whole year. So make sure to inject some culture into your Malta travel itinerary during your visit this winter. When you’ve exhausted the list of treasures that adorn the capital, it’s time to venture further. 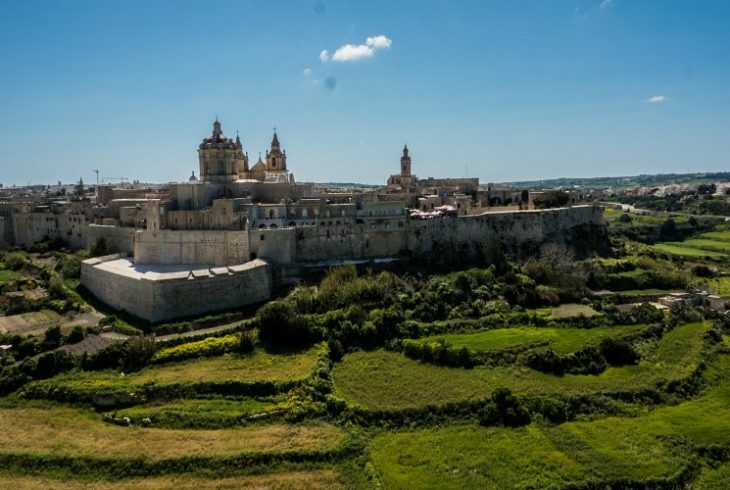 Including a visit to the ancient medieval capital Mdina is a must. Marvel at the majestic baroque cathedral of St Paul’s that lies nestled within the city’s bastioned walls; then head right across to the adjacent town of Rabat – home to a Roman aristocratic villa and countless early Christian catacombs underground. 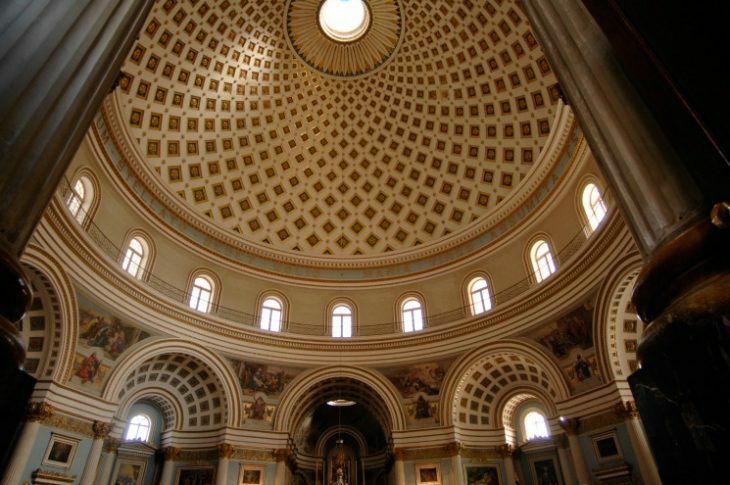 Make your way to Mosta Church, the third largest unsupported dome in Europe, which receives hundreds of daily visitors. Inside you can find a replica of the German Luftwaffe bomb that pierced the dome but miraculously failed to explode during World War II. 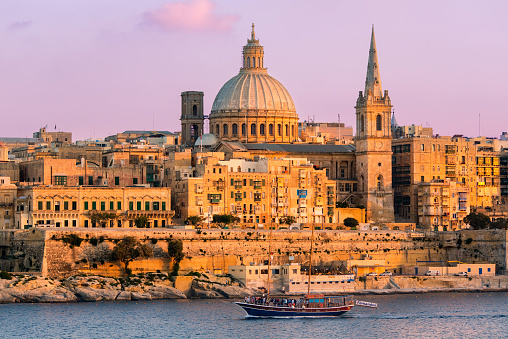 Further south of the island lie the captivating harbour towns of Vittoriosa, Cospicua and Senglea – collectively known as The Three Cities. Housed inside along the former’s winding streets are the Malta Maritime Museum, the Inquisitor’s Palace, and the 9th-century Fort of St Angelo – all well worth a visit. 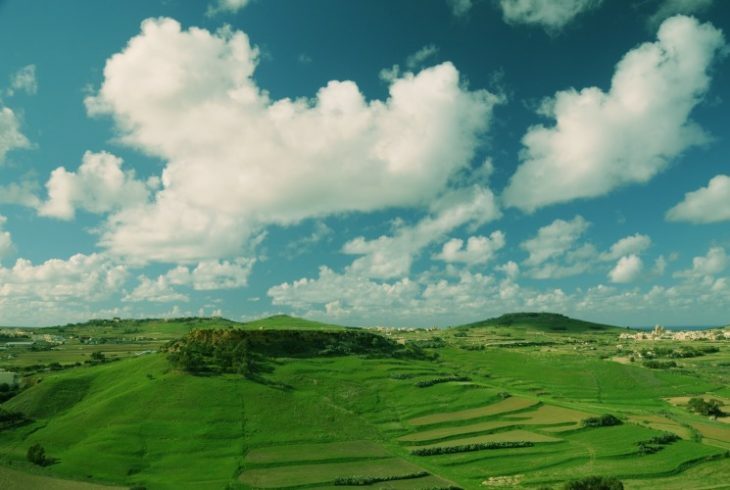 Cross over to an even greener Gozo by ferry to capture the scenic sights that the Ċittadella commands at the crest of the hilly capital of Victoria. 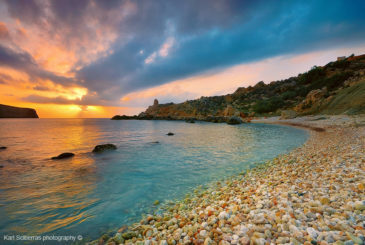 Malta enjoys some of the mildest winters across Europe, with daytime temperature variations lying somewhere between 13˚C and 20˚C, cooling down after sunset to an average low of 10 degrees. While rain is more frequent at this time, this also means that the land is temporarily transformed into carpets of rolling green, replacing the more familiar golden-brown hues of summer. 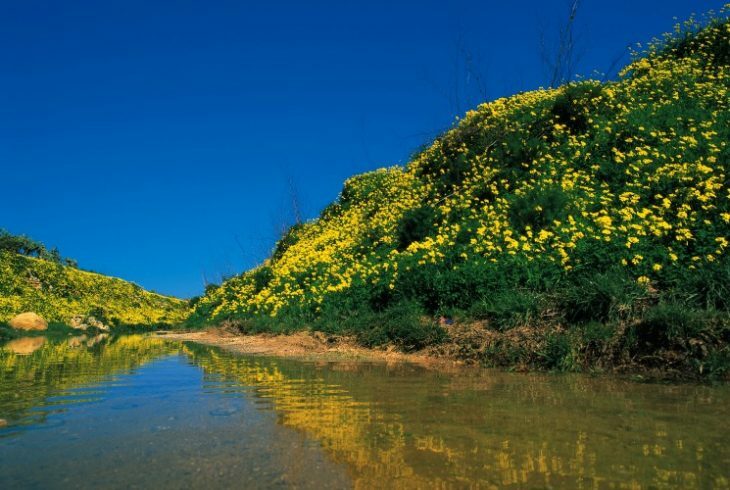 An abundance of blue skies and warm, sunny days persists throughout the Maltese winter. The cooler weather renders days like these ideal for long beach walks, countryside strolls or trekking adventures. Normally a light jacket is recommended, but don’t be surprised if you find yourself stripping down to your tee as you feel your muscles warm up nicely! 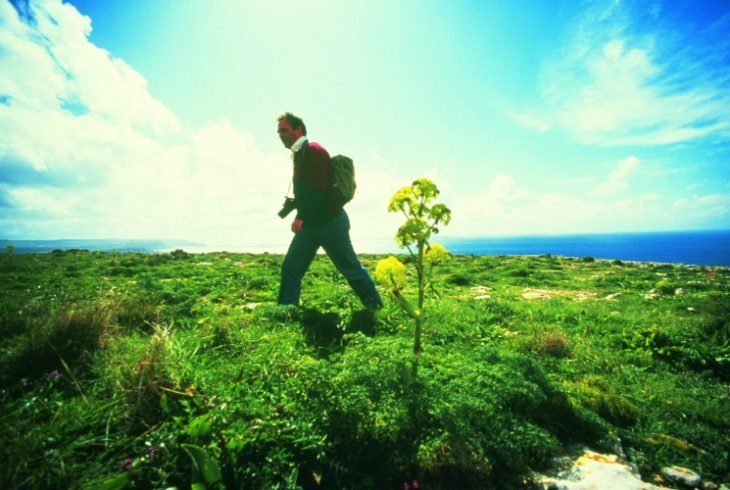 Whatever your fitness level, trekking is a fantastic way to experience the island’s hidden sights and less beaten tracks, where a unique variety of local fauna and flora abounds. Roam miles of unspoilt countryside and sightsee on horseback across the island’s rural north. 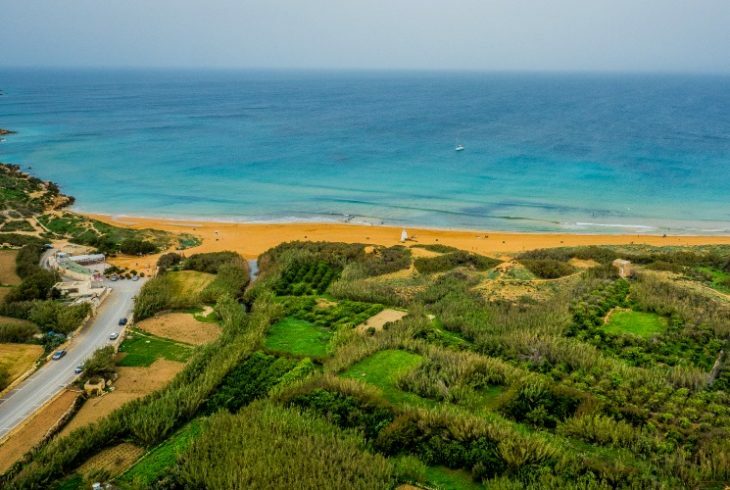 Mellieħa’s Golden Bay and the villages of Bidnija and Mġarr are among the best sites for horse riding through woodland and garrigue or along the coast. Your horse riding adventure can be tailored to your level of experience, whether you’re up for a half-hour beginner trial or wish to linger a while longer into the scarlet sunset. Far from the bustle of sun-kissed beaches all summer long, on winter days you’re very likely to have a quiet stretch of sand or rocky coast all to yourself. 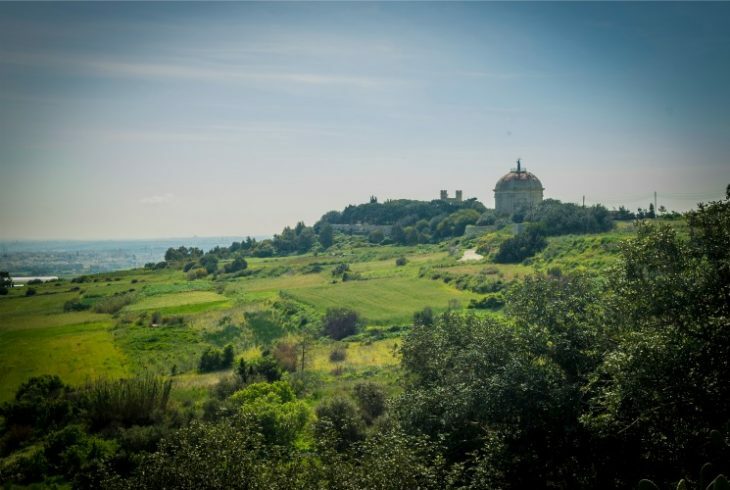 Breathe in the briny air and work up an appetite for a panoramic picnic by the sea. 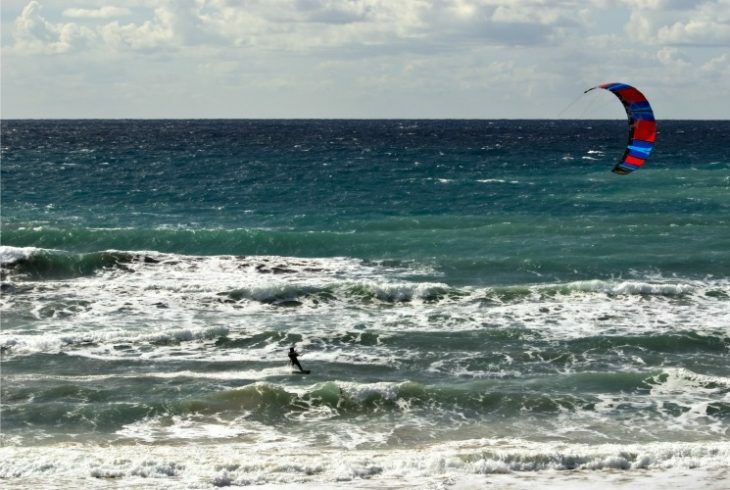 And if you fancy taking a pulse-quickening dip or riding a giant wave on a surfboard, check out the WhichBeach website for up-to-date water conditions and daily top beach picks. When they say that the best way to experience the best sights of Malta is from the sea perspective, they’re completely right. 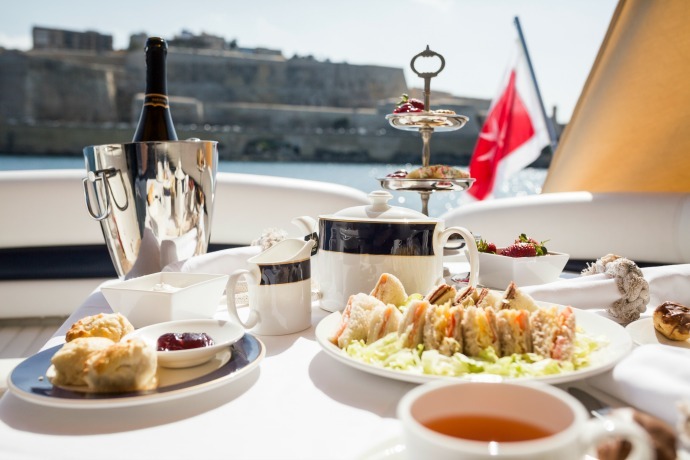 Take to Vittoriosa’s historic port and step on board a luxury Sunseeker for a beautifully laid-out brunch or afternoon tea, with the glittering Mediterranean Sea and gold-hued Grand Harbour as your backdrop. Weather permitting, you will even be able to venture out into the open sea for a dreamy day itinerary of island magic. 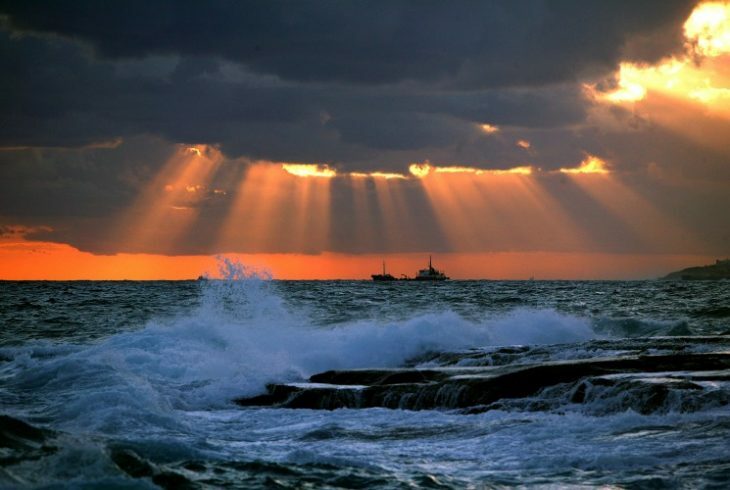 Malta’s mild Mediterranean climate promises clear winter skies on most days. Come late afternoon, the heavens change into a palette of soft burnt oranges and fiery reds – a spectacular sight that can be enjoyed from many a vantage point around the island. Undoubtedly the best spots are dotted along the coast, where you can take in uninterrupted, horizon-spanning views of breathtakingly fused sea and sky hues. 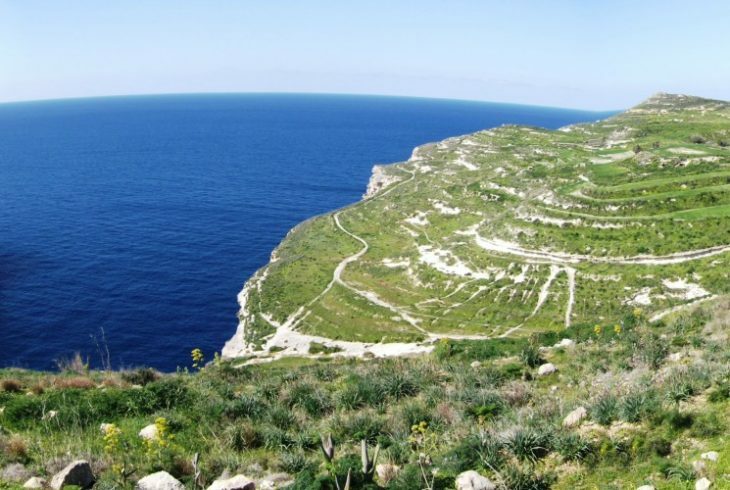 Try Dingli Cliffs, Għajn Tuffieħa and Popeye Village for starters; then relive the experience on the Gozitan shores of Ramla l-Ħamra and Ħondoq ir-Rummien. 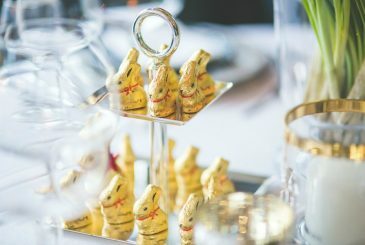 Lose yourself in marvellous Maltese mayhem between the 9th and 13th of February, before the Lenten days of sobriety approach. Celebrated since the 15th century, the Carnival tradition is big in Malta, and even more revered on its sister island of Gozo. 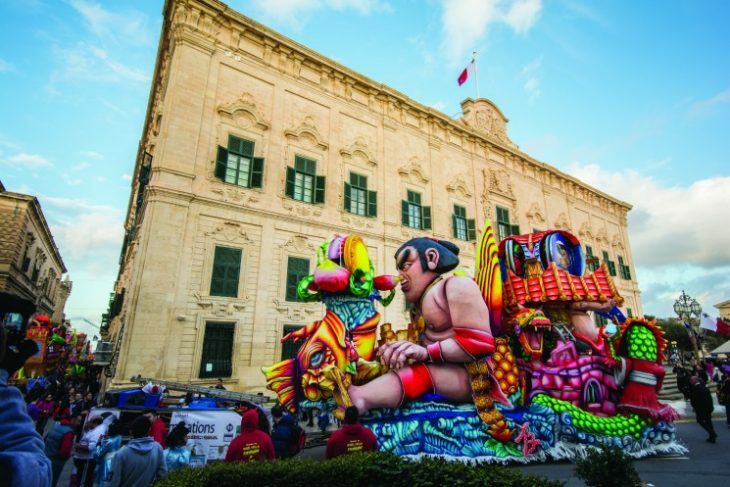 Give in to tempting festive treats like the super-sugary prinjolata while watch the streets of Valletta burst into colour as giant fluorescent papier mâché floats, extravagant costumes and dancers parade through. 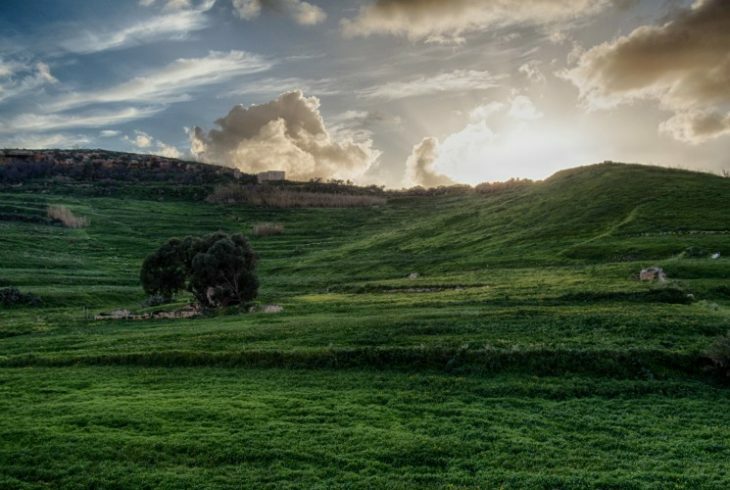 Go wilder in Nadur, Gozo, where the night-long celebrations take on a more hedonistic tone. Here in Malta, where activities mostly happen under cloudless open skies, winter is synonymous with a prolific music and theatre scene which sees audiences frequent spectacular indoor venues. 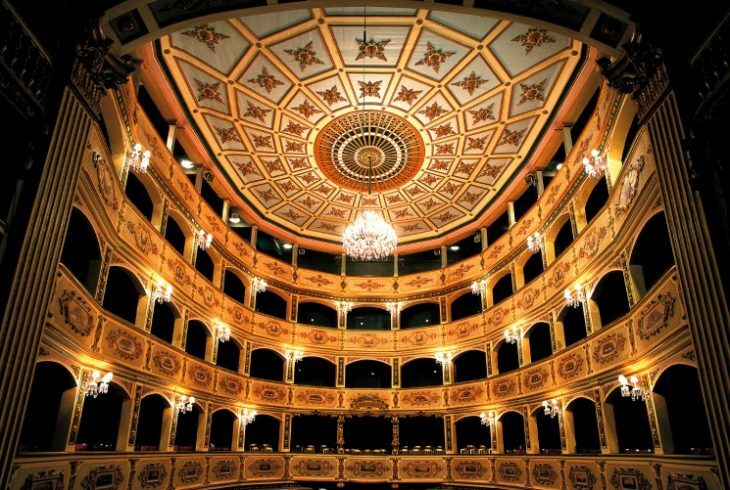 Among these is the 18th-century masterpiece known as the Manoel Theatre in Valletta, reputed to be Europe's third-oldest working theatre. Sample the varied Maltese theatre season in full swing, with productions by Teatru Malta and the national Philharmonic Orchestra filling up seats, senses and souls with sheer performance perfection and exquisite musical oeuvres. 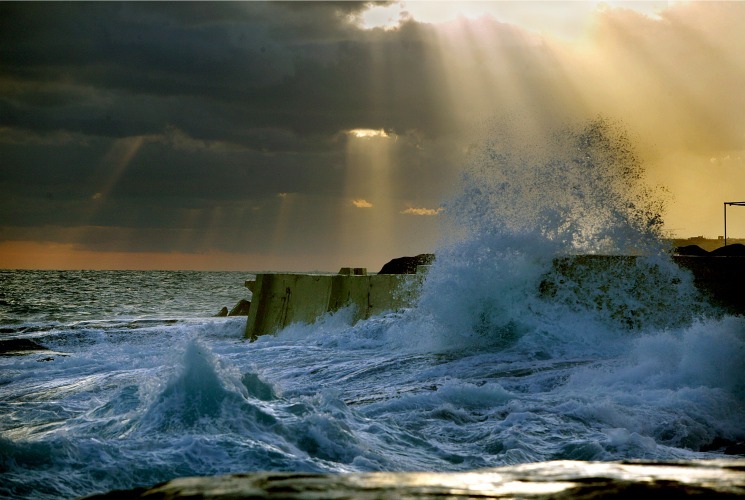 With so many options of things to see and do in Malta, why not let the sun come out to greet you on a winter weekend stay?